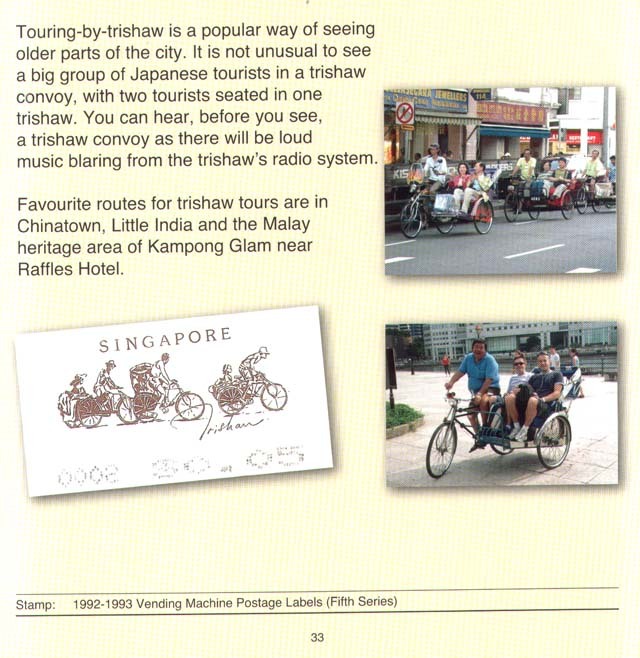 Touring-by-trishaw is a popular way of seeing older parts of the city. from the trishaw’s radio system. the Malay heritage area of Kampong Glam near Raffles Hotel.